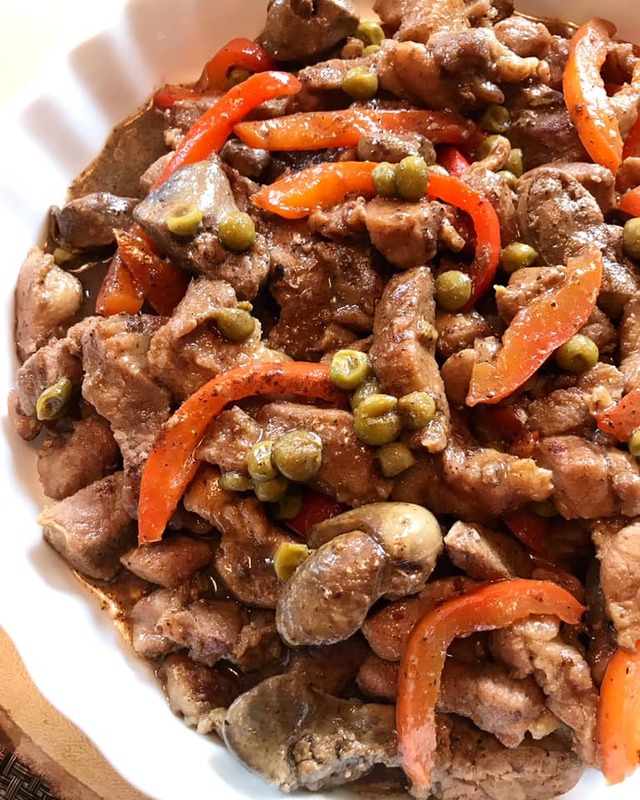 Pork Igado is a delicious Ilocano dish made with pork innards, pork meat, bell peppers and green peas in soy sauce and vinegar. 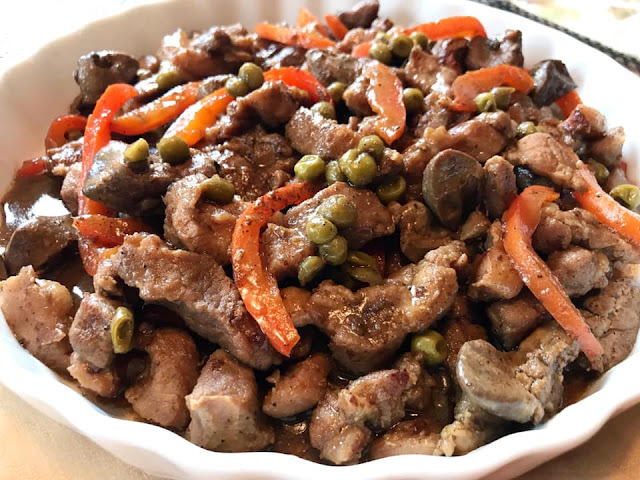 There are different versions of Pork Igado from different provinces in the Philippines and this is one of the simple version. Some do not like the taste or the texture of liver so I say, skip it. It won't taste as good but it still going to be delicious. 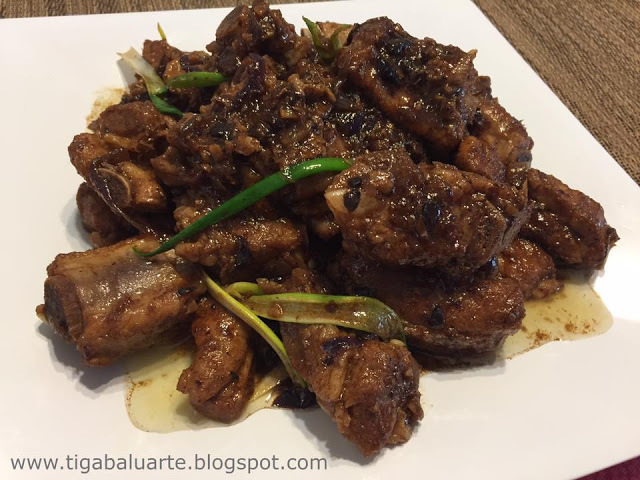 Pork Igado is similar to Filipino Menudo but it has that tangy taste. 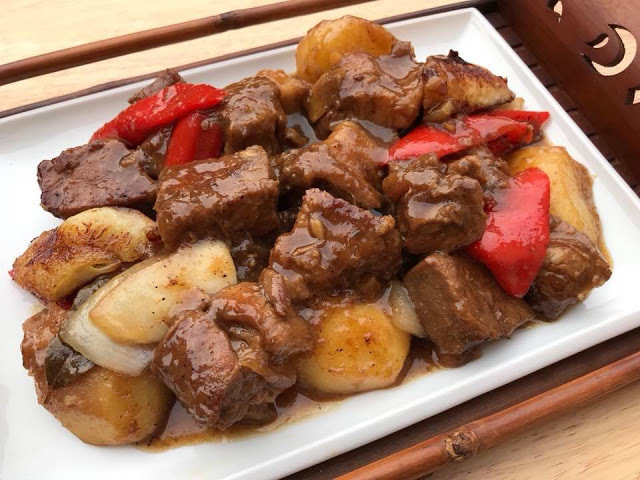 Igado comes from the Spanish word "Higado" which means liver and apparently liver is the one of the main ingredients of Igado dish. Instead of pork innards I used pork shoulder and chicken liver. 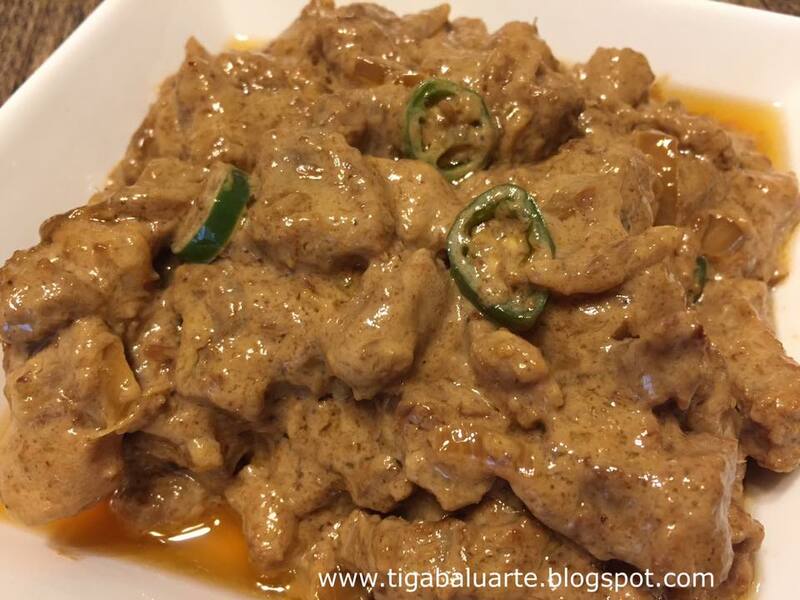 The ingredients of this Pork Igado recipe is simple yet it create a flavorful dish. The pork and liver are cut into bite size and cooked in vinegar and soy sauce. If you like liver then give this recipe a try. Others like to marinate the meat with soy sauce and vinegar but I also skipped that part. Add pork meat and stir. Cook for 10 minutes. Add water and stir. Continue cooking until pork is fully cooked and tender. Add more water if needed. Add chicken liver and ground pepper. Stir gently and cook for 5 minutes. Add bell pepper to the wok and stir gently. Cook for 2 minutes. Add green peas, soy sauce and vinegar. Stir gently and simmer for 5 minutes or until liver is fully cooked. Taste test and add more salt if needed. Remove wok from heat and serve hot. Enjoy!